Don't click on that video that will keep you awake nights!! There is no need to panic!!! I tell you this from my own personal experience - learn from my mistakes - please!! Take a deep breath - we'll get through this together - I promise you. I know it seems icky. I know you can't believe you didn't realize your child had it. You are not a horrible parent. You don't have to wash everything in the house. I tell you all this because I did freak out. I sat there washing and combing thinking to myself, "How did I not see this? I am such a horrible mother. I wash his hair and I didn't see this at all. It wasn't even on my radar." And then I started rewashing everything in our house - and I hate laundry!! I bagged up everything any of us had touched. And then I did the worst thing I could have done - I stayed up all night googling lice. Watching horrible lice videos. Reading everything that came across my screen. I made myself crazy. But the biggest mistake I made was not going to a Lice Clinics of America and having the AirAllé treatment done. Oh we got rid of the lice after spending 3 weeks combing every single night. Washing bedding every single night. And leaving all our beloved stuffed animals bagged up like they had done something wrong. 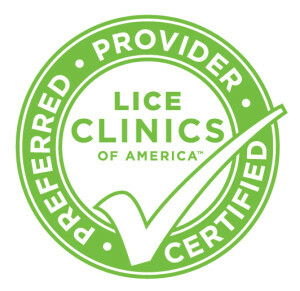 The nightly combing (3 hours every night for all of us) and washing had such an effect on me that I decided my area needed a Lice Clinics of America - I needed to bring the AirAllé method of lice removal to my area. The over the counter shampoos did nothing to the lice in our house. In fact I am pretty sure I heard those little buggers laughing at me as I combed them out of his hair, even after leaving it on my child's head way longer than the box states. Not a single one was dead!! The heat from the AirAllé device kills not only the bugs but the eggs too!!! IT KILLS THE EGGS!!! Nothing else kills the eggs - which is why you have to comb night after night after night. With the eggs dead your infestation ends when you walk out of the clinic. A once and done treatment in about an hours. You see now why not going to a Lice Clinics of America was my biggest mistake? You go home and wash your hair, wash your bedding and wash your clothes from the last 48 hours and you are finished!!! In the world of lice removal that feels magical!! There is no obsessively checking every moment of every day to make sure you got every single nit because you are worried the infestation didn't end. Since our first encounter with lice we have had it again and let me tell you - nothing, and I mean NOTHING compares to the AirAllé method of lice removal. I would venture to say the whole process is relaxing and stress free. Contact me if you have questions. I am happy to answer any and all. I want to bring this superior method of lice removal to as many people as possible.